Welcome to your prescription drug plan insurance guide. This page will give you a good understanding of prescription drug plan insurance, will inform you of savings opportunities, and also provide a number of other useful tips based on our publications. The Canadian publicly funded health care system provides some drug coverage through provincial programs like the Ontario Drug Benefit Program, Trillium Drug Program and a number of others. In Alberta it would be the Alberta Health and Wellness Prescription Drug Programs. According to the organization for Economic Cooperation and Development, approx. 75% of Canadians have some kind of health insurance (group, private plans, etc.) to cover supplemental medical expenses. Most of these people are covered under group benefits of the company for which they work. If you have a group benefits plan with your employer, a drug plan is typically a significant part of your group insurance policy. Nevertheless, there are many cases where you want an individual health insurance and drug plan, such as when there is a lack of group policy available for you or you are self-employed. What are the key elements of drug plans? Drug Plans can vary greatly based on the scope of drugs covered and coverage limits. Often drug plans are bundled with basic health insurance. 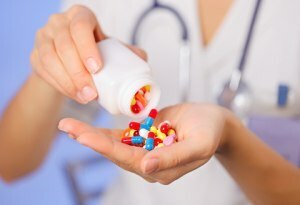 There are several aspects of prescription drug plan insurance that need to be considered. Maximum coverage per person per year: This amount can vary greatly, from between $250 and $10,000 per calendar year. Percentage covered: Often insurers limit the drug coverage amount, letting customers pay for a part of it. Those value often range between 70% and 100%. Generics vs. brand name drugs: In most cases brand names will not be covered as long as there is a generic drug available. Deductible per prescription: An additional amount that you need to pay out of pocket for each prescription. Coverage for pre-existing drugs: Often, current medications are not eligible for coverage. Sometimes there are optional coverages available to cover pre-existing drugs. Age of policyholder: Some drug plan coverages can be limited to particular ages e.g. 65. Make sure to check if any benefits will become unavailable to you as you age.